I received the Channel 15 “abc” Monsoon Guide in the mail today. I don’t know how many of these they sent out so I thought I would share some of the information. This year the National Weather Service set the official start and end dates for our monsoon as June 15 to September 30. So, we are currently in the season but have not had any storms yet. “Monsoon” is defined as any wind that reverses its direction seasonally. Winds will bring moisture from the south and south east from the Pacific Ocean, the Gulf of Mexico, and the Gulf of California. We can have storms with heavy rain, strong winds, lightning and thunder. You can check out the Doppler Satellite/radar maps at the Desert Doppler15HD Forecast Center. It is kind of neat to see the aerial view of Phoenix area. Did you know that a dust storm is also called a “haboob“? These are giant walls of dust that are created when a storm collapses. They are amazing to see and can be very dangerous. They are just what they sound like an incredibly high and dense wall of dust making visibility very low. The walls of dust can reach as high as 1500 to 3000 feet. The best thing to do is get indoors when you see one coming. Try to avoid driving in one. If at all possible, pull over into a parking lot and wait out the storm. Link to the Tucson office of the National Weather Service’s forecast and information about the monsoon. 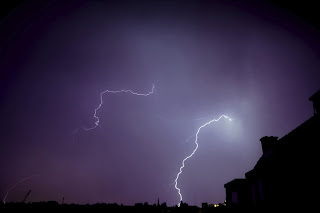 Monsoon Information for Phoenix Area This site also provides monsoon safety tips.